Railway transport plays a significant role in the transport system of a country because the development of trade, industry, and commerce largely depends on the efficiency of its rail system. Other advantages of effective rail transport in any economy include the facilitation of long-distance travel and transporting of bulky goods that cannot easily be transported by motor vehicles; the transporting of goods with speed and certainty and the quick movement of goods from one place to another at a time of emergencies like famine and scarcity. Additionally, the railway is believed to be one of the safest forms of transport. The chances of accidents and breakdown of railways are minimal as compared to other modes of transport. Moreover, it helps in the management of road traffic. The carriage capacity of the railways is extremely large. Its capacity is elastic, which can easily be increased by adding more wagons. Simply put, rail transport is a national necessity because in any national economy, it has its specific and irreplaceable position. Over the years, however, we have watched in silence as this important national asset hit one crisis after another and virtually sank into oblivion. Problems of mismanagement, the lack of a national development agenda and the hurry to undo the work of previous governments for political advantage all combined to derail the Seven-year Development Plan by our first President, Dr Kwame Nkrumah, under which extensions of the rail system from Awaso to Sunyani and from Shai Hills to Akosombo had been planned. But with over 60 years on, after Nkrumah boldly declared that “the black man is capable of managing his own affairs”, the reverse is our lot by way of a collapsed rail system, a collapsed airline among many other mismanaged institutions. Thankfully, all that would soon change for the better as the Nana Addo Dankwa Akuffo Addo-led NPP government have given Ghanaians some ray of hope by way of making huge investments in the railway sector just two years after assuming power. 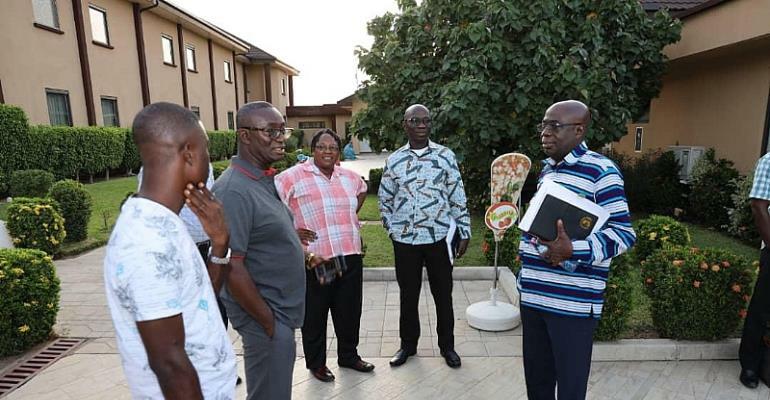 In an effort to truly make Ghana the hub of trade in sub-Saharan Africa, "the President of Ghana and the President of Burkina Faso in a series of meetings have both decided to undertake a project to connect the two countries by rail, particularly to connect the port of Tema to Ouagadougou". This revelation was made by the Deputy Minister for Railways Development, Hon. Andy Appiah Kubi during an inception report meeting with Team Engineering and Vision Consults, consultants to the Ghana-Burkina Railway Connectivity project. 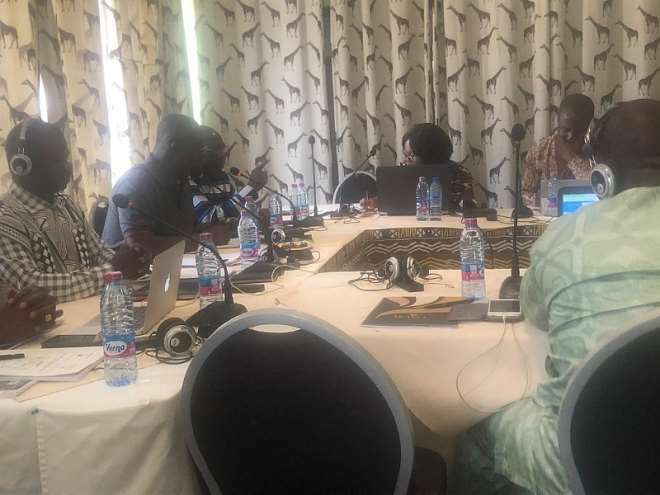 The meeting which took place at the Akayat hotel in Bolgatanga also had in attendance, the Minister for Urban Planning and Urban Mobility for Burkina Faso as well as technocrats from the two West African countries. The Asante Akim North MP in an interview with journalists after the meeting threw more light on what the meeting was about, " having been selected as transaction advisors, this is the point of reconciliation for the two of us[Gov'ts of Ghana and Burkina Faso together with the Consultants] to think the same for them to understand us properly and for us to [also] understand how they are going to do what we expect[of them]". "So the inception report is to give us their understanding of the project as described in the terms of reference and also to tell us what is it that they need by way of us providing them as primary information and also they will tell us how they are going to analyze the information [we give them] going forward to be able to reconcile their understanding with their interest to be able to do a report that will capture the two of them in the same approach", the astute lawyer painstakingly explained. 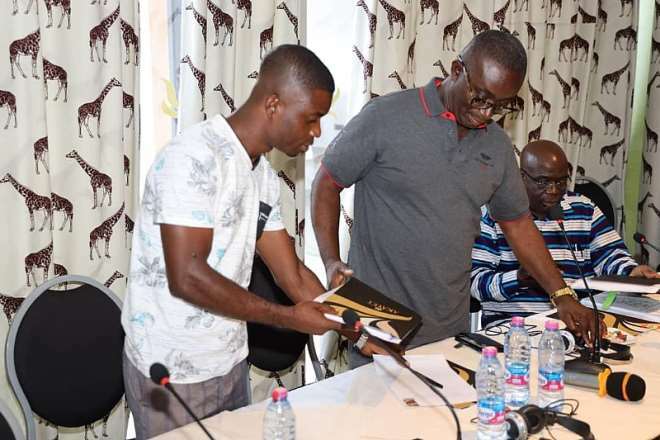 He further stated that plans were far advanced with regards to the project and sooner than later, the industrial city of Tema will be connected to Ouagadougou by rail. The construction of the Tema to Ouagadougou railway line is part of the Eastern Extension Railway project which is one of the government's most ambitious initiatives spearheaded by Hon. Joe Ghartey and his deputy, Hon.Andy Appiah Kubi. The project when completed is expected to boost trade between the two countries and open up Ghana to the rest of sub-Saharan Africa.